This is one of those ‘forgotten’ breakfast recipes that is so good, and can be made any way you like it. 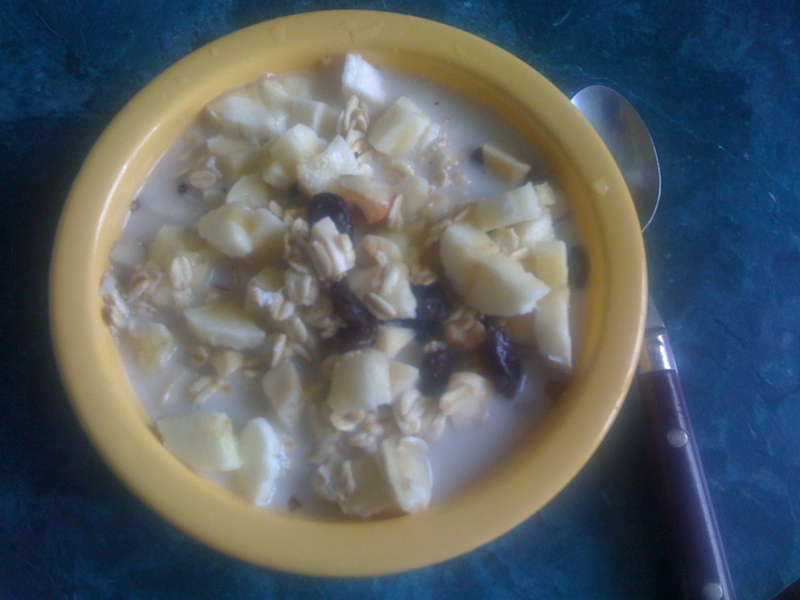 I normally start with oats, nuts, fresh or dried fruit, and rice or soy milk. I am an advocate for a cruelty free vegan diet so while I love it, I just leave off the yogurt. I give it to the kids in the morning on school days, it is a bit heavy but keeps them from getting too hungry before they break for lunch. Myself I eat it closer to lunch time. Organic rolled oats can be bought in bulk or pkg at a few stores. Top it off with a little maple syrup and call it parfait! For kids who don’t like the toughness of the oats you can substitute the quick cooking oats, those are much softer and don’t need the soaking time. This entry was posted in Delicious and simple food, detox, Food kids love, Gluten free, healthy food on a budget, RECIPES - ALL, Restoring health, VEGAN, Wheat free and tagged breakfast muesli, healthy food, vegan recipes, vegetarian recipes. Bookmark the permalink.